January 18, 2018 – Many people frequent local establishments to relax and socialize and most of us have spent our fair share of time in bars. Whether you stop in to chat with a favorite bartender, meet up with friends or are looking to meet new people – the bar is the center for connectivity. Now there is an exciting, fun and interactive app that enables us to connect with others more easily at our favorite bars. 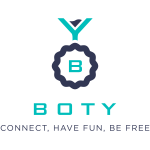 Available on the App Store and on Google Play, the BOTY app is free to download and offers a host of entertaining and useful services for both patrons and bartenders. Try the BOTY Bar Challenge, a innovative cross between a bar crawl and a scavenger hunt. Bartenders will appreciate the BOTY app and quickly find it an invaluable resource. The BOTY app offers bartenders modern tools for success and a professional platform to market themselves separately from their personal social media. To learn more about BOTY or download the app, please visit https://botyapp.com.